List of Real Time Gaming casinos with honest review including reputability check of every Real Time Gaming online casino listed. Realtime Gaming (RTG) has been in operation since 1998 when it was first established in Atlanta, Georgia, but later moved to Heredia, Costa Rica in 2007. In the same year, the company was acquired by Hastings International, and from there on out has been managed by the HBM Group. Online casinos that feature Realtime Gaming games are known as RTG casinos. The company remains an industry leader, due to the high quality of their software, combined with their development team's commitment to working with online RTG casino owners to ensure they're satisfied and well-supported. RTG provides customizations and game branding for each client, so although there are dozens of RTG casinos, players enjoy a unique experience at each of them . However, the group has a past with a few scandals, and player complaints have sometimes overshadow their solid software offering. RTG has developed a platform that is easy to implement and support. It comes in both download and instant-play modes. One reason for the software's popularity is that it was developed to be easily marketable and accessible to players from the United States, meaning that U.S. players are welcome to play at most RTG casinos. It is a well-known fact that some online casinos powered by Realtime Gaming are rogue operators that can cause problems for online gamblers. One of the most infamous RTG- powered group of casinos was the Crystal Palace Group, which was the subject of numerous player complaints on forums, due largely to their bonus terms and conditions. Many others are also on online casino warning and rogue lists across the internet, so before playing, be aware of that information, and check our reputation review carefully to see whether your chosen casino is blacklisted. RTG’s software carries an official Certificate of RNG Evaluation from CDS (Central Disputes System Certified), a respected Accredited Testing Facility and principal consultants to major gaming and wagering regulatory bodies. CDS performs RNG Evaluations with a special emphasis on the distribution and unpredictability of the RNG application. CDS has verified through mathematical and statistical analysis that Realtime Gaming’s RNG distributes numbers with sufficiently unpredictable outcomes. RTG offers both a download and Flash casino. The game selection is almost exactly the same between the Flash and download casinos, however, with the download software, you’ll find slightly more games. As with any casino software, the graphics are a little sharper and the speed a little quicker in the download casino. The arrival of smartphones and mobile devices like tablets has led to almost every software provider developing games for the mobile platform. RTG joined the mobile bandwagon slightly later than its peers, but today it offers a wide selection of its games for play from mobile devices. RTG’s spread of games provides casino operators with a variety of unique and classic games that enhance their site and make players come back for more. With the wide selection of slot machines, video poker games, the extensive progressive network and almost every table game available, players will not be lacking in their choice of games. In addition to progressive jackpots, compared to the multi-million dollar jackpots offered by similar casino software providers such as Microgaming, Playtech, or Net Entertainment, these jackpots are rarely won, and their slow rate of growth suggests that they are not particularly popular. 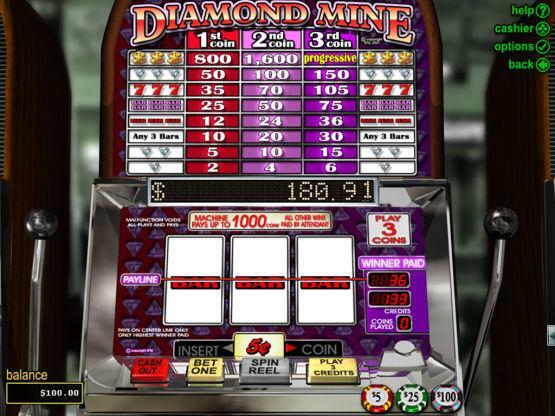 RTG "Real Series" slot machines may be configured with tiered random progressive jackpots that are local to a specific casino, or a group of casinos that are run by the same operator. These local jackpots can be won randomly and independently of the alignment of symbols on the game reels on any spin. Operators are able to configure the jackpots on a per game basis, or group several games together in order to contribute to a shared local jackpot. RTG has focused on creating a wide array of slots games. These include 3-reel slots, bonus 3-reel slots, video slots and progressive slots. Some of the favorites include titles such as Achilles, Aladdin’s Wishes, Aztec’s Treasure, and Cleopatra’s Gold, amongst others. In RTG casinos you will also find games such as Blackjack, Baccarat, Roulette, Red Dog, War and Craps. RTG has also developed casino favorites like Keno and Caribbean Stud Poker, along with 18 variations of video poker for you to enjoy. Most of Realtime Gaming's slots come with random progressive jackpots, which can be a huge draw among players. They also offer a variety of jackpot games with some starting at $1 million. In addition to impressive graphics, RTG games also feature controls for game speed, sound and music, so players can customize their online casino experience. There are a number of bonus features like free spins and slot tournaments available. RTG casinos are also well known for no deposit bonuses, and plenty other rewards or promotions. The games can be transferred right into your computer screen in a matter of seconds. Almost all of the online casinos have 24/7 customer support, so help and guidance is always guaranteed when you need it most. Realtime Gaming software is very popular, not only in US but across the world, and its games are offered by many different casinos. From the popular and reliable we can mention Thunderbolt Casino. On the other hand, casinos with quite a bad reputation include the likes of Gold VIP Club Casino and Bovada Casino. Of course, you can always choose the best casino for you according to the reviews on our Casino Guru website. RTG may not be the largest provider online, but it is one of the most respected in the industry. Known for safe games and a great level of player protection, players all over the world will enjoy the download and F lash games that can be found at RTG casino sites online. Alderney 4 Isle of Man 0 Malta 11 Gibraltar 8 Jersey 0 Kahnawake 1 Panama 4 Curaçao 42 Unknown 0 Belize 0 Costa Rica 15 United Kingdom 17 Austria 0 Canada 0 Antigua and Barbuda 1 Belgium 0 Bosnia and Herzegovina 0 British Virgin Islands 3 Bulgaria 0 Cambodia 0 Comoros 0 Cyprus 1 Czech Republic 0 Denmark 2 Estonia 0 Georgia 0 Ghana 0 Greece 0 Hungary 0 Ireland 0 Italy 0 Kenya 0 Latvia 0 Lithuania 0 Mexico 0 Netherlands Antiles 0 Nigeria 0 Paraguay 0 Peru 0 Philippines 0 Portugal 0 Romania 0 Serbia 1 Slovakia 0 Spain 0 Sweden 8 Aland Islands 0 Schleswig Holstein 1 British Columbia 0 Cagayan Economic Zone 1 Delaware 0 Nevada 0 New Jersey 0 Ontario 0 How we rate Licensing Jurisdictions?